If your LLC has two or more partners and is taxed as a partnership, it is highly advised to consult an attorney to determine whether or not you should amend your LLC’s Operating Agreement in response to changes in the tax law that have gone into effect. The Bipartisan Budget Act of 2015 (“BBA”) significantly changed the rules governing IRS audits of all business entities taxed as partnerships. The purpose of these changes is, of course, to make it easier for the IRS to audit partnerships with its existing resources. However, despite these changes, the BBA allows small partnerships to elect to opt-out of the new audit rules and reduce the liklihood of an audit. In order to be eligible to opt-out of these new rules, the partnership must have less than 100 partners and consist only of “eligible partners,” i.e., individuals, estates of deceased partners, S corporations, C corporations, and foreign entities that would be treated as C corporations under existing law. Ineligible partners such as other partnerships, single-member LLCs, estates that are not estates of a deceased partner, trusts, and any other person that holds an interest on behalf of another person will make an entity ineligible to opt-out of new rules; hence consideration must now be given as to whether the “ineligible partners” should become members of an LLC in the first place. Painter & Associates anticipate that most of our existing LLC clients that are eligible to opt-out will want to do so and, therefore, must amend their Operating Agreement. Also, consideration at this time should be given as to whether Operating Agreements should bar Ineligible Partners from becoming members of their LLCs. 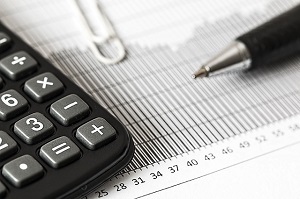 If a partnership that does not opt-out or or otherwise subject to the new rule, is audited and required to pay additional tax for a prior tax year (the “Reviewed Year”), Members may find themselves paying more (or less) than their pro-rata share of the partnership’s tax for the Reviewed Year—especially if Members have left, been added, or had their percentage interests change since the Reviewed Year. However, under the new law, if the LLC elects to “push-out” the partnership’s tax liability for an Adjusted Year to the Members—including former Members who were Members during the Reviewed Year—the Members will pay their share of the tax based on their respective percentage interests for the Reviewed Year. LLCs that desire to “push-out” a Member’s tax liability must amend their Operating Agreements to ensure that Members during a Reviewed Year are contractually bound to pay their share of the additional tax, whether or not those Members are current Members or not, or whether their percentage interests have changed in the interim. Also an audit in prior tax years can cause accounting inequities that are unfair to the current partners; thus, it may be desirable for an LLC taxed as a partnership to amend its Operating Agreement to permit the Manager to take action that can offset or remedy any inequities. Finally, and perhaps most significantly, the BBA requires that business entities taxed as partnerships appoint a “Partnership Representative” in place of the “Tax Matters Partner.” Under the new law, the Partnership Representative has more authority to take tax positions on behalf of the entity than the Tax Matters Partner did. To address this, LLCs taxed as partnerships should consider amending their Operating Agreements to describe the extent of the Partnership Representative’s authority and to provide direction to the Partnership Representative as to the tax positions he or she should take (e.g., whether to “opt-out” or “push-out” as described above). If your LLC is taxed as partnership, contact Painter & Associates, LLC to discuss whether or not your Operating Agreement should be updated for your protection. One of the most significant additions to the Tax Cuts and Jobs Act (“TCJA”) was the addition of the Deduction for Qualified Business Income. TCJA substantially lowered the corporate tax rate from 35% to just 21%. Many members of Congress, however, realized businesses run by smaller companies including sole-proprietors, independent contractors and pass-through businesses (such as LLCs and partnerships) should also receive lower taxes. Thus, Congress implemented the Qualified Business Income Deduction. Initially, this deduction was limited to “non-personal” service business. Ostensibly, this made ineligible certain industries such as law, accounting, health, brokerage services, financial services and real estate agents and brokers, to name a few. To address this issue, Congress at the last minute, allowed these "personal" service businesses to take advantage of the Deduction for Qualified Business Income subject to phase outs at certain income levels. Under TCJA, the exception provides that if the business owners’ taxable income is less than $157,500 for single filers and $315,000 for married filers, then the taxpayer is eligible for the full 20% deduction. Above this level, the deduction is phased out over the next $50,000 in taxable income for single persons and $100,000 for married filers. Even then, a second exception may be available subject to 50% of W2 wages paid by the business or 25% of the W2 wages paid by the business plus 2.5% of the depreciation costs basis of tangible property at end of year. Please contact Painter & Associates to review and set-up your business so that you can take advantage of the TCJA.